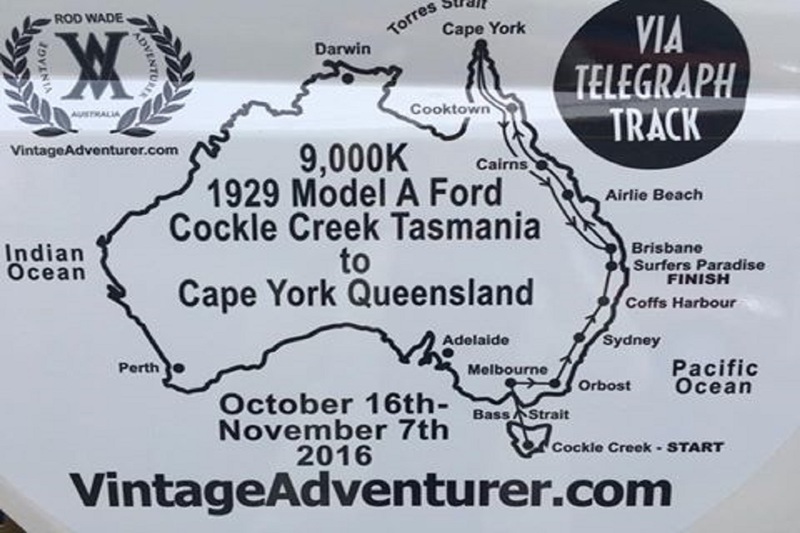 Vintage Adventurer | 6 Days to the Off! 6 Days to the Off! 05 Oct 6 Days to the Off! Hello everyone! Only 6 days to go now. Next Tuesday, I leave home with my lovely Rattler on the back of the trailer and start the journey to Tasmania. I’m taking one crew member with me for the drive to Tassie. Six more crew will fly in to Tasmania, where we all start The Great Rattler Run on 16 October! The last crew member will join us in Cairns, to provide extra support for the journey up and down Cape York. There is so much to do before then! I’m still running all over the place getting plenty done. One last thing …. I have just hit 980 Likes! I want to thank every one of you. I hope you have all enjoyed watching my travels as I journey around this wonderful planet in my lovely vintage Fords. It really does mean a lot to me to be able to share all of this with so many friends and fellow enthusiasts!